Claire South riding Jaffa’s Gold, dam of Demelzas Dream who is by Landtanzer. How many people dream of breeding a potential superstar from their mare? This is exactly what Claire South has done at her first attempt. At the glittering British Breeders Dinner and Awards Ceremony in London, Claire was presented with an award for her homebred yearling Demelzas Dream. Demelza was the highest scoring potential show jumper yearling throughout the UK in the 2016 Futurity Evaluation series. The Futurity programme is held throughout the UK every August with over 800 foals, yearlings, two and three year olds coming forward. Horses and ponies are entered for the discipline they are bred to perform in and youngsters destined for top level careers in dressage, eventing, showjumping or endurance are identified during the series. 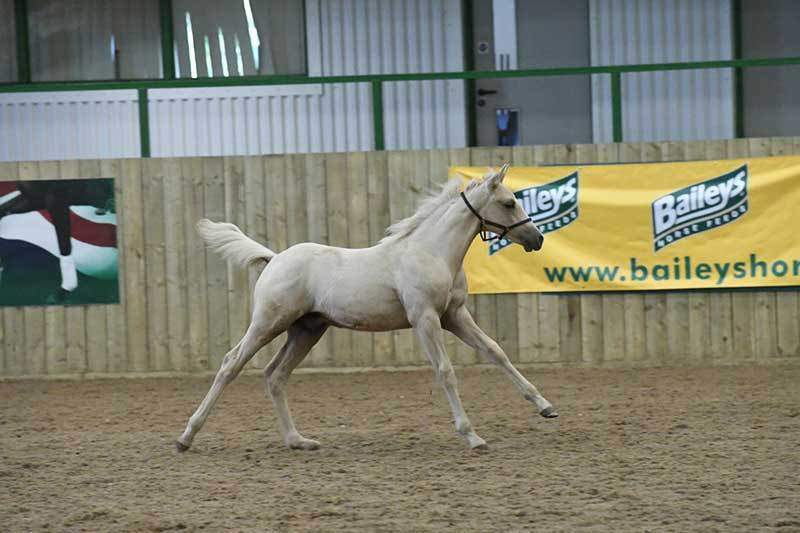 Each horse is evaluated in hand and loose in an indoor school as well as undergoing a vet’s assessment. Demelzas Dream by Landtanzer, out of Jaffas Gold by Welton Adonis. Demelzas Dream is out of Claire’s mare Jaffa’s Gold, (s. Welton Adonis, d. Aquila Real) and by Landtanzer. 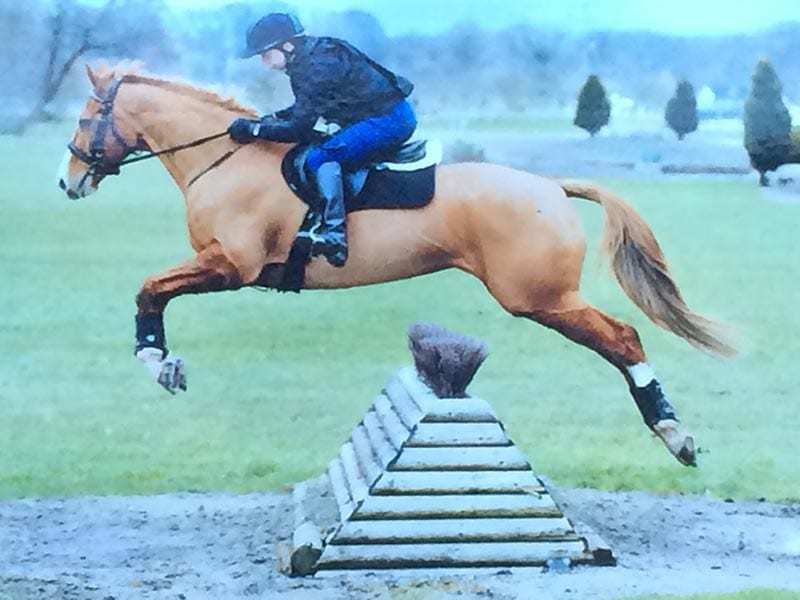 Claire South, from Linton in Herefordshire, has owned Jaffa for 10 years and during this time has competed in British Showjumping competitions as well as other disciplines. Claire now hopes to event Jaffa at unaffiliated and possibly BE 80/90cm before breeding from her again. She will return to Meadow Bank Stud’s Landtanzer because Demelza, not only oozes quality, but also has a lovely temperament. Claire is most grateful to her family and friends who gave her so much support. Also presented at the ceremony, were British Equestrian Federation (BEF) and British Eventing (BE) Young Horse Breeders Medals to recognise the successes of British bred sport horses. Awards were given for the highest placed British bred horses from the KBIS British Equine Insurance sponsored Young Horse Championship hosted at Osberton International Horse Trials each autumn. One of these awards was presented to Christine Hardinge, breeder and rider of the 4 year Domino Derval SHB (GB). 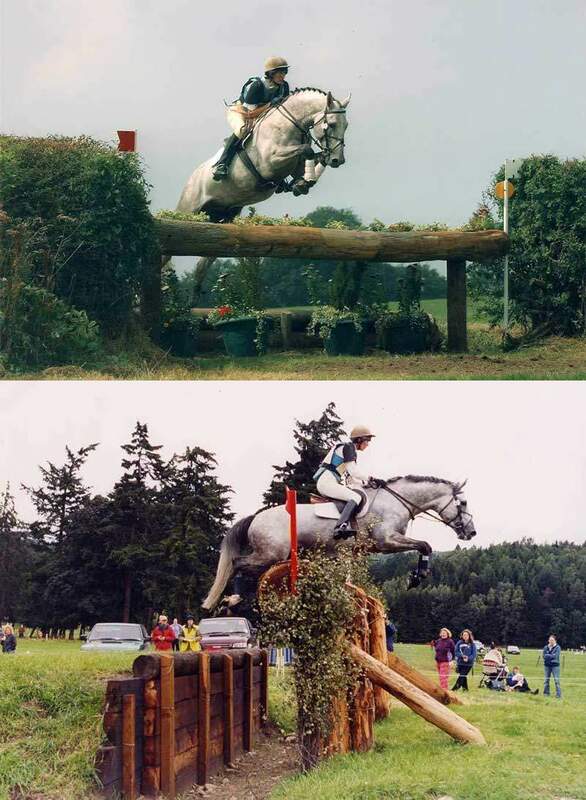 Christine not only bred Domino, but also owns and competed his sire, the advanced event horse Crown Amazonite who stands at their yard at Ballingham, Herefordshire. Domino Derval, who is out of Donnavita, was 3rd in the 4yr old Young Horse Championships at Osberton and was the highest placed British Bred horse. Mrs Valerie Gorringe from Peterchurch, Herefordshire, is very involved with both the Herefordshire award winners as she is the owner of Domino Derval and bred Jaffas Gold, dam of Claire South’s winning yearling. Endurance rider and breeder Chris Wray from Cwmcarvan near Raglan also received an award for his homebred colt foal Kamili (Shuawaiman Al Rais x Cloud Stepper) who was the highest scoring foal in the endurance horse section across the UK national young horse evaluation days. On returning home from the Hartpury evaluation day, Chris was delighted to find out his foal was the highest scoring foal throughout the UK.